SugarCRM partner since 2009 and SugarCRM integrator, Captivea supports companies of all sizes and in all sectors of activity in the implementation of the sugarcrm solution. Captivea is now a SugarCRM partner in the USA and Europe, with a SugarCRM certified team that successfully carries out numerous SugarCRM projects. To guarantee each customer the success of his SugarCRM project, our SugarCRM team provides an online customer area to track the progress of each project and have all the information necessary to monitor the SugarCRM project. With our experience on many SugarCRM projects and to meet the specific needs of each of our clients. We have developed additional modules for SugarCRM in addition to the essential features of SugarCRM. 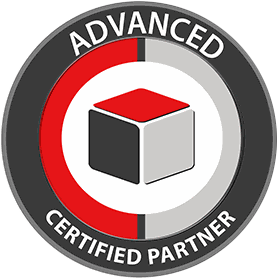 Captivea is a SugarCRM integrator partner based in the USA and Europe, with a certified team that supports companies in their SugarCRM project.